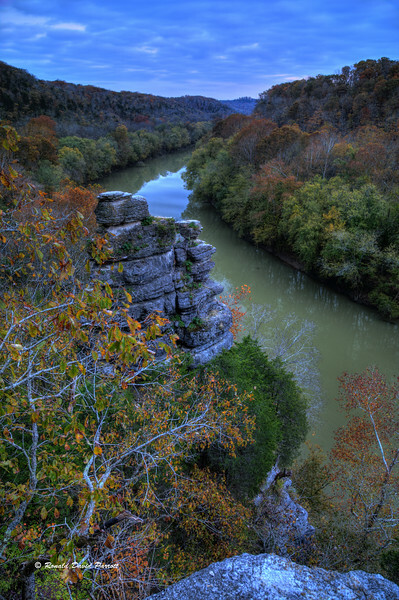 Over time the the Kentucky River has cut deeply into the landscape to create up to 400 foot exposed rock palisades with interesting formations such as this one. They keep boaters looking up, and even entice some folks to climb high for a closer look. The natural stone viewing platform (a.k.a. pillar) partially shown at the bottom of this photo isn't easy to reach. However, it offers very good views in all directions. Devil's Pulpit Arch (shown in the next photo) is nearby in the opposite direction.